Mal Fletcher raises some hugely important questions surrounding the Channel 4 documentary. Are we right to consider allegations of a crime as grievous as repeated child abuse when the alleged offender is no longer with us? Second, can we separate the artist from their personal behaviour, in terms of our appreciation of their work? Michael Jackson may not be around to answer the claims against him, but justice should be served anyway - as far as that is possible. The memory of many historical figures has been soiled by posthumous evidence of awful behaviour. In those cases, we find ourselves reappraising their legacy. They may have escaped the justice of the courts, but history has its own retributive measures. That said, we should only approach this story with a desire to prevent similar activities in the future. We should not allow our discussion about it to become an exercise in vindictiveness. If we decide that, on balance, the likelihood that abuse occurred is greater than the likelihood that the accusers are lying, we must learn from the situation and move on. It's a shame that, if the allegations are correct, Michael Jackson is not here to have the opportunity to reform. Had that happened, he might have become a better figure in the eyes of some people - and his latter years might have been quite redemptive. The testimony of the young men concerned would form the greater part of the evidence against Michael Jackson, even if he was still with us. As for the reliability of the alleged victims, I can't see what they gain in making these claims, except a lot of vitriol and abuse from the singer's fans around the world. We know that he denied these types of claims on other occasions - in the press and in court. In the end, we are left to decide whether the claims are consistent with what is known about other aspects of his behaviour. Then we come to the question of whether it is possible to separate an artist's body of work from their behaviour. After the conviction of Bill Cosby, there was a debate among entertainers in the US as to whether we can separate a person's professional output from their personal activities. I think, to a degree, we can, but only after that behaviour has been openly addressed and dealt with appropriately. History reflects that if this is going to occur, it will usually take a considerable period of time. Even then, though, the performer's work will likely always be tainted by the memory of their actions. We will find ourselves asking, "How much of this particular output was impacted by bad or criminal behaviour?" If the claims made in the documentary are judged to be consistent with other parts of Michael Jackson's behaviour or history, he will probably never again enjoy the same public standing. This case raises many ethical questions. Yet its central lesson for us is simple, whatever the truth of the allegations. The lesson is this: celebrity is no guarantee of integrity and talent is no substitute for character. Fame cannot immunise those she favours from the potential effects of their inner pain. 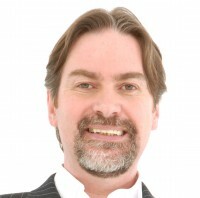 Mal Fletcher is a social commentator and social futurist, global leadership speaker, broadcaster and author. He is chairman of the 2020Plus international Think-Tank based in London, and director of Next Wave International. His expert social comment is often featured in the media (e.g. BBC TV, BBC World News, Radio 5 Live etc) and his TV series, Edges, has been seen around the world. Get Mal’s daily comment at www.twitter.com/malfletcher. Mal is also a member of the Cross Rhythms Board Of Reference. You can now buy Mal Fletcher products from Cross Rhythms Direct. Copyright Mal Fletcher 2005-2012. Reproduced with express permission from Next Wave International and 2020Plus.